Everyone knows Batman, SuperMan, Spider-Man but do you know who LightSport Man is? Johnathan Mark Smith aka LightSport Man was once told by a Flight Instructor that he couldn’t become a pilot because his stutter would prevent him from passing a medical exam. Smith was was turned away from taking flight lessons in 2010, but he persevered and pursued his dream of flying. For some unexplained reason, Smith discovered that his stutter disappears when he is flying. 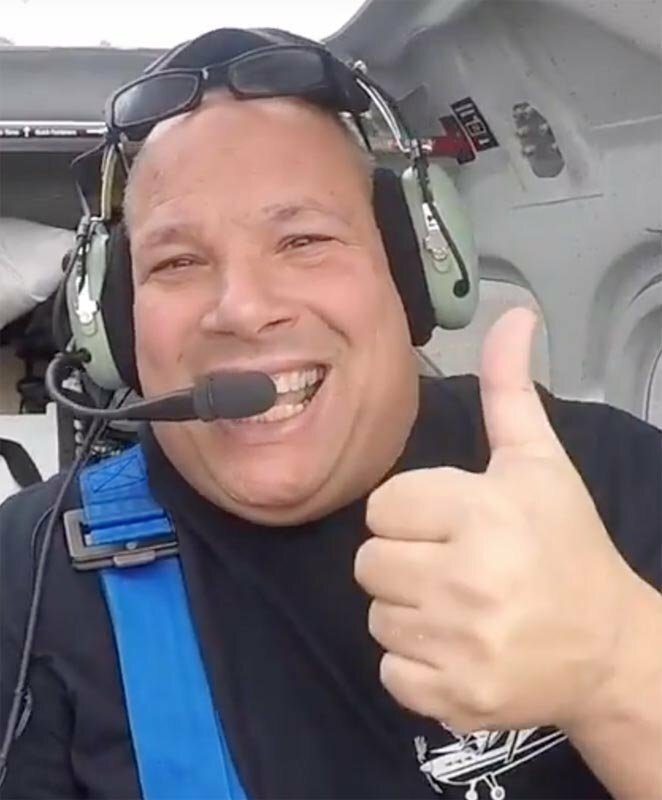 Today, Smith is not only a pilot but also a Flight Instructor for both pilots and drone operators.His certificates include Certificated Flight Instructor-Sport (CFI-S), Advanced Ground Instructor, and Remote Pilot. He is also a light sport aviation enthusiast, consultant, and author based in Surprise, Arizona. Q: Describe what your first solo flight was like. Where did you take off and land, what was the experience like? A: My first solo was at Glendale Municipal Airport in a Remos light sport aircraft N16GX. I remember taking off and the first time the plane left the ground I was like, ‘Oh no I’m alone up here,’ and I got a little scared, but I kept on following the pattern. Before I knew it, I was on my final [approach] saying, ‘no one is going to help me to do this and I have to do it.’ Right after I did my first touch and go, I was so excited, and I did three more that day that I will never forget for the rest of my life. Q: What is your favorite aircraft to fly and why? A: Remos GX. I have found that the Remos has the best useful load, and I love the way the plane reacts. Q: Has being a pilot and flight instructor changed the severity of your stutter? A: I have noticed that a lot of times when I’m talking about something I’m very passionate about, like aviation, my stuttering goes away. I love as I’m up in the air with my clients that my stuttering is gone. It’s due to the headsets and the Choral Speech Effect. A combination of Delayed Auditory Feedback (DAF) and Frequency Altered Feedback (FAF) which the headsets do, now stops 99.9 percent of my stuttering. The “choral effect” occurs when people who have a stutter, speak or sing in unison with others. Their stutter is dramatically reduced or even eliminated. Q: Why did you decide to become a CFI? What was that process like? A: I became a CFI to open the doors to aviation to others who never thought it was possible, like someone like me who stutters. I love seeing my students grow and learn. I find this so exciting to see them get better and better at controlling the plane. Q: Where do you teach now? A: I teach in many locations, but the two main flight centers are Southwest Flight Center in Scottsdale, Arizona, and also Eagle Sport, LLC in Glendale, Arizona. Q: What is your education background outside of aviation? A: I have a background and degree in computer technologies working on systems like Linux and writing a number of systems to do stock trading over the Internet. All of my aviation training and knowledge has come from Gleim. Q: How did you get introduced to piloting drones? What drones do you own and fly? A: Well this is a funny story. I got introduced to drones doing freestyle competition but when the FAA changed the regulations, I had to became a remote pilot to get any of the contest winnings. This is how I got into becoming a pilot once again. My background with drones is building my own freestyle drones and FPV (first-person view) racing. As a commercial drone pilot, right now I’m only flying DJI products. I prefer flying a DJI Mavic Pro for most of my commercial work. Q: Describe the services you offer in drone and remote-piloting classes. Do you have a hands-on class that teaches someone how to fly their drone? What’s a recommended drone system? A: Yes, I have a hands-on class that will teach others how to operate any of the DJI drones. I also recommend that anyone going for FAA Part 107 test order the Gleim Remote Pilot Kit to cut down the cost of hiring an instructor. I inform anyone that needs Part 107 training to get the Gleim kit and then I work side-by-side with them to pass the test. Q: Have you been in touch with the CFI that said you couldn’t become a pilot or in touch with any of your former school teachers to let them know how well you’re doing? A: I have not been in contact with all of them, but for some of them I actually did presentations on Light Sport planes and also did some flight training. Q: Describe the advantage Gleim Aviation books and prep materials gave you in achieving your aviation career goals. A: Without the support and backing of Gleim, I would not be where I am today. Gleim helped me become an AGI and also worked with me during my CFI training. Without the support of Gleim and its staff I would not be an AGI or a CFI today. I recommend that every one of my students buy the light sport package or the drone package. I will NOT work with any other vendors’ training packages. I recommend the Gleim systems to everyone of my clients. If it’s a sport pilot or a drone pilot, I recommend that they pick up the Gleim kits. For my sport pilot clients, I find the syllabus to be the most organized sport pilot syllabus on the market. We follow the syllabus page by page and without any issues. I can see every one of my students becoming better pilots due to the systems. 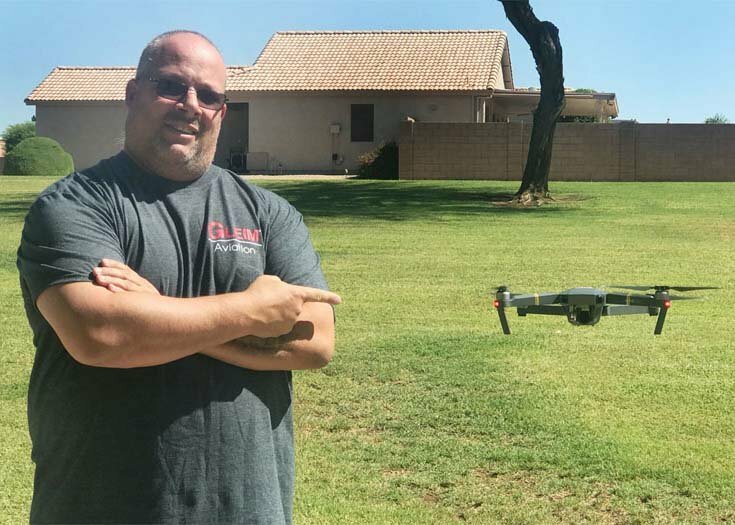 Now for the drone pilots, I have recommended the Gleim Remote Pilot Kit to everyone of my students and everyone has passed the Part 107 test on their first try using that product. 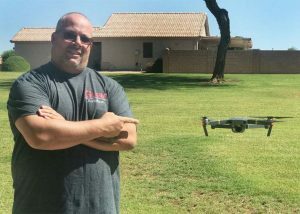 Smith teaches drone courses, does commercial drone photography, and competes in freestyle drone flying competitions. Q: What certificates did you earn using Gleim Aviation training materials? A: Sport Pilot, AGI, CFI-S and my Part 107 Remote Pilot. Once again, without Gleim and its staff I would not be in the aviation field today. Q: What is your ultimate goal in aviation? A: It was to become a CFI, which I did thanks to Gleim, but right now it’s to open the doorway to aviation to as many other people as I can. Gleim Aviation would like to congratulate Johnathan Smith for the success he has achieved and thank him for the tremendous support he has provided as an ambassador to promote aviation. We can all be inspired by the LightSport Man to never give up, never lose hope, and always pursue our dreams! Learn more about the LightSport Man and his Professional Aerial Drone operations. Have an idea for a Gleim Aviation blog post? Let us know here. About Gleim Aviation Since 1980, Gleim Aviation’s team of pilots, instructors, writers, designers, and programmers has helped aviators pass millions of FAA knowledge and practical tests using the unique Gleim Knowledge Transfer System. Gleim is an environmentally friendly company headquartered in Gainesville, FL. 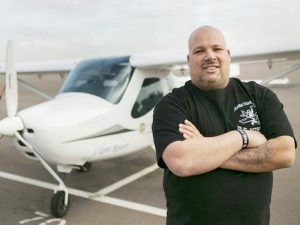 COPPERSTATE Fly-In - COME SEE JOHNATHAN SMITH AKA LIGHTSPORT MAN LIVE !! !